I love to go hiking and having a chance to explore regions of America that I have yet to see. 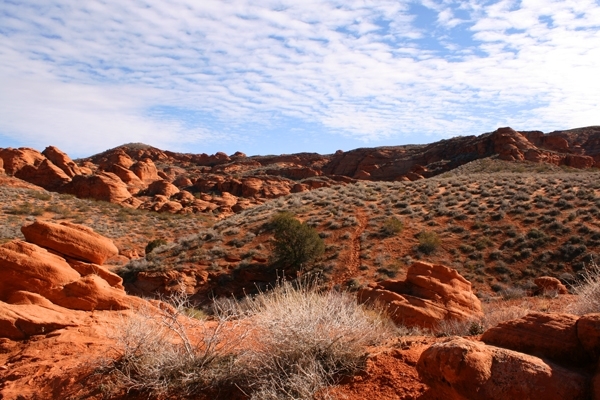 Southern Utah has some of the most beautiful hiking areas that I have ever seen and I thoroughly enjoyed having the opportunity to hike each one of these trails at every opportunity. 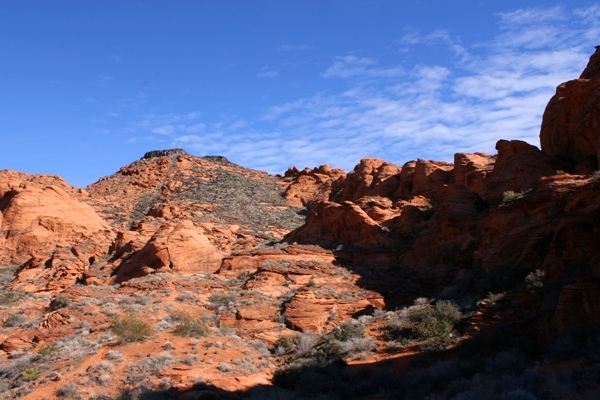 The great thing about the Red Cliffs Desert Reserve is that there is really something for everyone. 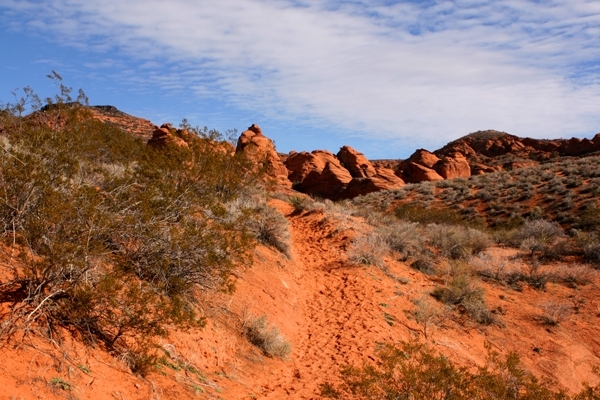 Throughout the various trails, you can enjoy hiking, riding a dirt bike or riding a horse. It really comes down to your own personal preferences and how much adventure you want to put in your day. Typically, I enjoy having an opportunity to hike into an area but I knew that this particular trail was going to be a real challenge for me to do it alone. 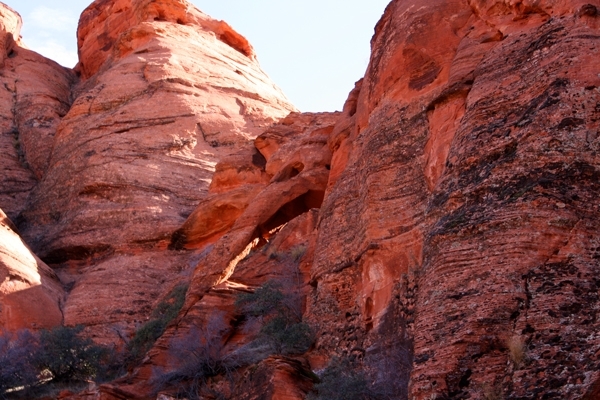 I was interested in going to the Elephant Arch Trail and having the opportunity to examine the Elephant Arch itself at the end of the trail. This is located in the Mill Creek region and it is particularly sandy, making it fairly difficult for people to hike through. In addition, the trail is approximately 2 1/2 miles long so it can become rather laborious walking through such deep, loose sand for so long. As a result, I made the decision to examine the rock formations on horseback. This is one of the best trails in the area for anyone that is riding a horse because that same sandy surface that makes it so difficult for a person to walk along the trail is excellent for equestrian activity. It was a relatively cool day so I was not worried about putting too much stress on the horse by asking it to take me the entire length of the trail and back. Generally speaking, the whole trip can be completed on horseback in just a couple of hours but I made the decision to take a little longer because I really wanted to take in the sites. Once I reached the Elephant Arch I had the chance to simply stop and enjoy my surroundings for a while. I took a number of photographs and enjoyed taking it all in before I made the decision to head back. This was one of the most rewarding experiences that I have had in quite some time and it is certainly one of the most beautiful trails that I have ever traveled. I would definitely make the decision to do it all over again. Having said that, I would probably decide to stick with completing the trail on horseback a second time as opposed to walking it myself. The exception would be after a decent rain because in the days immediately thereafter, the soft sand is packed a little harder. This makes it a lot easier to walk on the trail. Although this particular trail is one that I prefer to complete by riding a horse, it does make an excellent way to get in some good physical fitness if you want to walk the trail. The added level of work that you have to do to get through it is a great way to stay in shape, so if you are looking for something like that, this may be the way to go. Personally, my soul purpose for taking the trail was to have an adventure and look at the rock formations so I simply wanted to enjoy the day. In truth, the day was even better than I had hoped it would be.